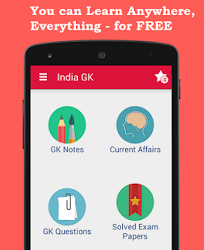 6th January 2016 Current Affairs MCQs, Quiz, Questions: Current Affairs for January 2016, Daily Multiple Choice Questions (MCQs) for India GK, World GK and current affairs with Collection of daily objective type Question by www.Indiagk.net based on General Knowledge (GK) and General Science (GS) Questions for UPSC, State PSC, SSC, Police exam, Railway exam, SBI, Bank PO, IBPC, SSC, LDC, UDC, Army, Airforce, Navy, Coast Guard, Bank Clerk, TET and all entrance examination with current affairs News, Multiple Choice Questions (MCQs) available on Website www.IndiaGK.net and Android Apps with daily updates:. Which country reported on Wednesday has conducted its first hydrogen bomb test ? Explanation: North Korean news agency has reported Wednesday that North Korea has conducted its first hydrogen bomb test, a move that could potentially seriously escalate tensions in the Korean peninsula An earthquake has been reported in North Korea, the epicenter of which happens to be very close to Punggye-ri nuclear test site leading to speculations of fresh nuclear test by North Korea. The US geological survey has put the magnitude of tremors at 5.1 on richter scale. Meanwhile, Japanese Prime Minister Shinzo Abe has called the test a threat to Japan's security. Ratan Tata has invested in Bengaluru-based startup intelligence platform ---- recently ? Explanation: Ratan Tata has invested an undisclosed amount in Bengaluru-based startup intelligence platform Tracxn. With this investment, Tracxn will join the list of nearly two dozen startups and tech companies that Tata has backed since 2014. This includes Snapdeal, Ola Cabs, Paytm, Urbanladder, Xiaomi with UrbanClap and DogSpot among the recent bets. Tata is also working with venture capital firms like Kalaari Capital, IDG Ventures India and Jungle Ventures as an advisor. Founded in 2013 by former venture capital investors Neha Singh (ex-Sequoia Capital) and Abhishek Goyal (ex-Accel Partners), Tracxn tracks over 100 sectors including enterprise infrastructure, enterprise applications, technology, consumer, mobile, digital marketing, health, education.